You know when Microsoft is releasing stuff under the Apache 2.0 license and attempting to build communities there’s a shift in the industry happening. Good for them! Ok, on to the point of this post now. My reading list went empty recently and I needed to fill it with some interesting books. In particular, I was looking for books related to open source and community building. The good news is that I found a couple of interesting books, the bad news is that I wish there were more books on these topics. 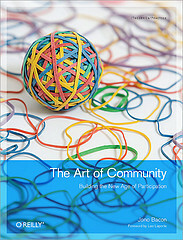 I’ve been devouring the Art of Community book by Jono Bacon (Ubuntu’s Community Manager). It’s a fascinating book which outlines some of the aspects of community building and share’s many of Jono’s experiences in developing the Ubuntu community. A lot of the things he discusses can be mapped to what is going on within the Eclipse community. Jono’s coverage of the importance of meritocracy and governance pleases me. Anyone else have a chance to read the book yet? 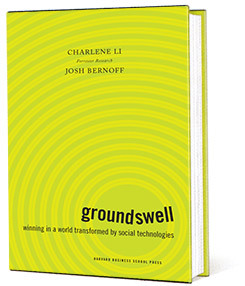 Another book that I’m looking to devour is the Groundswell by a couple of Forrester Research’s analysts. I’m always a fan of case studies around social technology and how it can impact your business. My favorite recent example is the United Breaks Guitars debacle… how much heartache did that cost United? I’ll let people know what I think of Groundswell when I finish it. Anyone else reading anything good around open source of community building lately? Any recommendations?